So clever and fun! 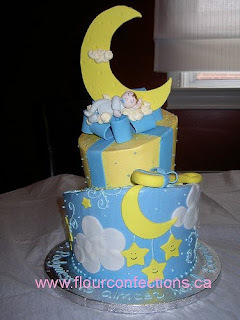 For this shower, I would set up the dessert buffet on the “bed,” and go with a classic blue, yellow, and white color scheme like you see on this cake (from here). In fact, if you could replicate this cake as the centerpiece of the dessert bar, that would be great! 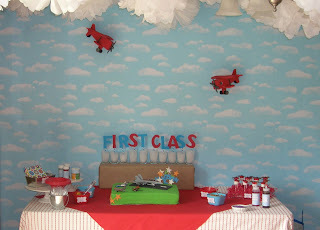 Wouldn’t this background and “clouds” hanging from the sky, just complete the visual (from Not Just A Mommy’s Airplane party)? 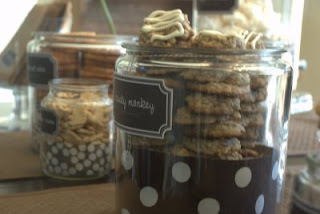 And since the theme is “sweet dreams,” any thing sweet would be at home on the dessert table, although it could be fun to throw in some “moon pies,” or star shaped candies, like these suckers. Oh yes! Invitations! That’s what she asked for! I have a couple of ideas. 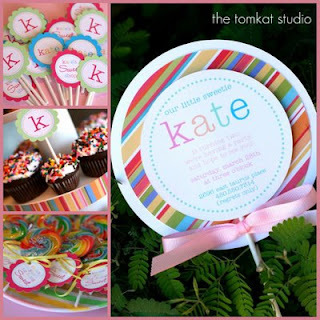 I’ve always loved these invitations from O Happy Day, but figured they were too expensive to be practical. 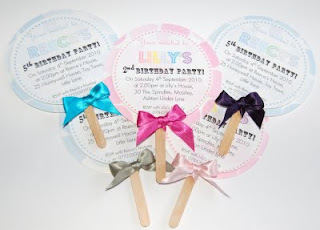 If your guest list was small, and/or you planned to hand deliver invitations, these might be worth it! Instead of lemon heads, I might fill the box with star candies like these (only the yellow and blue ones, though). Or maybe, mini-marshmallows (clouds) with a scattering of star candies. 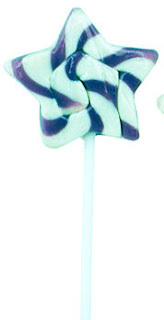 I might take it a step further and try and design the “lollipop” to look like a star or a moon on a stick (thus the sweet and the dreams, in one). 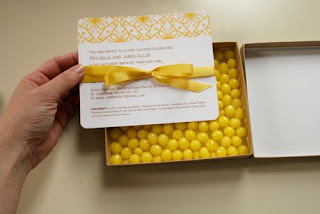 Anyone else have any great handmade invitation ideas I could pass along to my friend? I guess they don’t even need to go along with my Sweet Dreams theme, because she may read this post, decide that I am certifiable, and go another direction entirely. I do hope someone out there is crazy enough to put this one together, and if that someone is you, please send me pictures so I can see how it turns out! 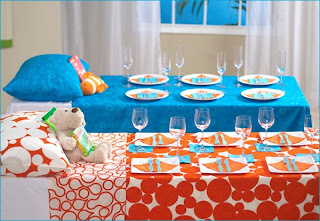 love dreaming bout party planning. 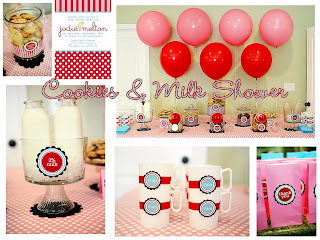 I am throwing a shower for a close friend and absolutely LOVE this theme! I will let you know how it works out!